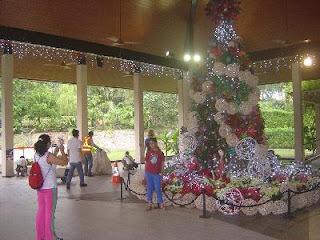 The park staff have moved the titan arum back and now it is time to celebrate Christmas in SBG. Hopefully, other titan will bloom soon! Celebrating Singapore's Biodiversity 2010 on FACEBOOK shares the Final video of the Titan - spathe has folded up & spadix has flopped downwards (video taken in the night, 9th, Dec).